Godrej Washer Error Codes. Godrej washing machines have digital displays to show information. The digital display shows wash time, washing mode, and any error codes that may occur. Error code E1, E2, E3, E4, E5, or EE will show when the washer encounters a problem. If an error code shows on the display, how do you know what the code means? 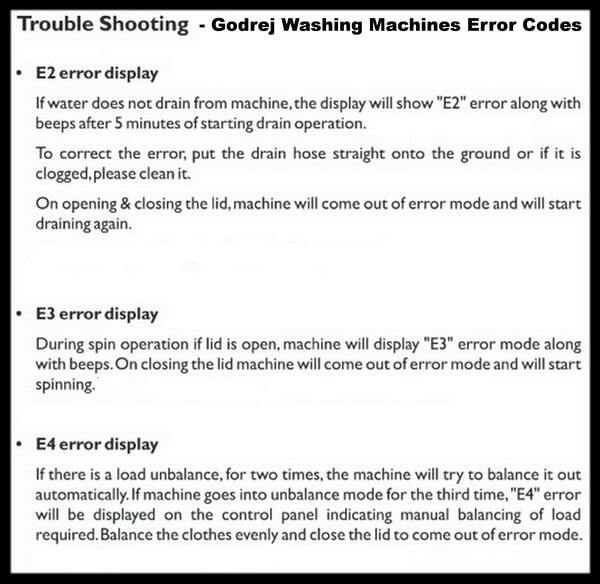 The list of all fuzzy logic Godrej washing machine error codes and troubleshooting methods are shown below. Below are error codes that occur on most Godrej washers. 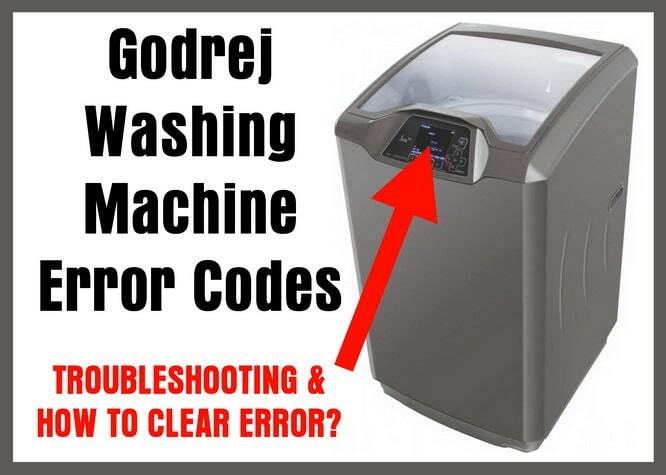 Godrej Washing Machines Error Codes – What Does The Error Code Mean? HOW TO FIX THE WASHER AND CLEAR THE ERROR CODE E1? – Check the water supply to be sure water is connected properly to washer. – Is the water valve going to the washer turned on? – If water hose is connected to washer, be sure the water valve is not clogged or damaged. HOW TO FIX THE WASHER AND CLEAR THE ERROR CODE E2? – If water does not drain from the washer, the display will show E2 error code with beeping after 5 minutes of starting draining. – To clear the error, put the draining hose straight into the drain on the ground orclean the drain hose if clogged. 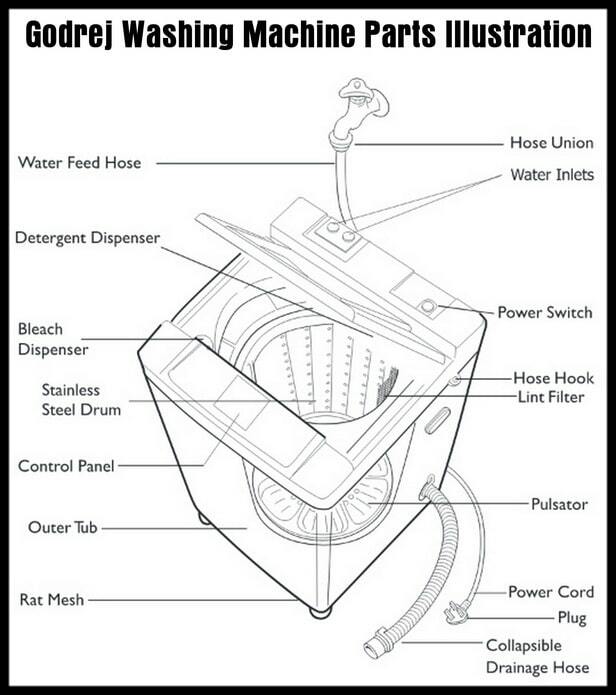 – When opening and closing the lid, the washer will come out of the error mode and will begin draining once again. HOW TO FIX THE WASHER AND CLEAR THE ERROR CODE E3? – When the washer is in spin mode and the lid is opened, the washer will show E3 on the display and beep. – Close the lid and the washer will clear the error and go into operation mode. HOW TO FIX THE WASHER AND CLEAR THE ERROR CODE E4? – When the washer senses a load imbalance, the washer will attempt to fix this 2 times. – If the washer goes into the imbalance mode the 3rd time, the error code E4 will show on the display. – The washer will need to be manually balanced by moving the clothing around evenly. – Rebalancing the tub will clear the E4 error code. HOW TO FIX THE WASHER AND CLEAR THE ERROR CODE E5? – When the washer is in child lock and the lid is opened, the washer will show E5 error and beep. – To clear the error close the lid and resume washing. – Turn off child lock if it has been set accidently. HOW TO FIX THE WASHER AND CLEAR THE ERROR CODE EE? – The EE error means the water pressure sensor is not functioning properly during operation. – Washing machine will beep when the EE error code is shown. – To clear the error code, inspect the water pressure sensor to be sure it is installed properly. – The water pressure sensor may be clogged and therefore showing the error code EE. – Make sure the washer has water going to it and the water pressure sensor. 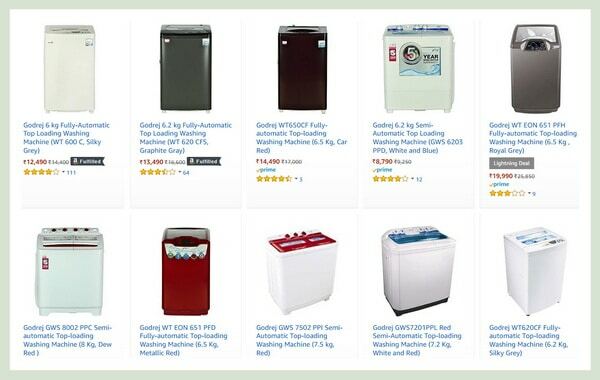 If you need a Godrej washing machine Owners or Service Manual, see below to find all Godrej washers. If you cannot find the error code your Godrej washer is displaying, let us know the model number of your washer and the error code it shows. Leave your question below and we will assist you in clearing the error code from your Godrej washing machine.